40+ 5-STAR REVIEWS AND COUNTING! I'm so proud of all of the glowing reviews my amazing customers have already given this set, and be sure to check out the product review photos customers have posted to see how this beautiful nursery decor artwork could look in your home! 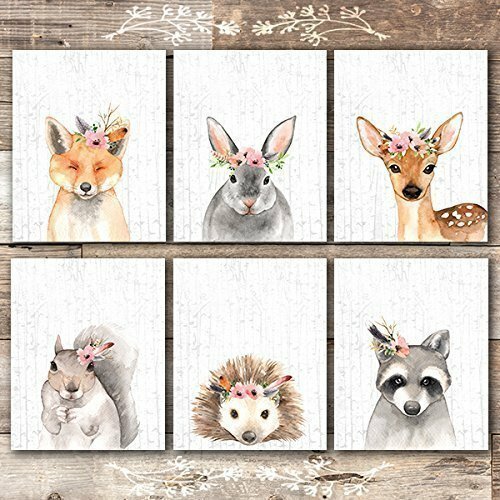 This set of watercolor woodland animals on a birch tree background makes the perfect baby shower gift and will turn any nursery into a woodland animal wonderland! This print is just one of many I offer! Check out my shop page by clicking "Dream Big Printables" at the top left of this page, and browse my wide variety - there's something for everyone! If you have any questions about this product by Dream Big Printables, contact us by completing and submitting the form below. If you are looking for a specif part number, please include it with your message.